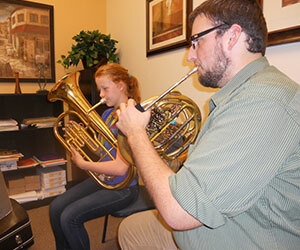 How old does my child need to be to take euphonium lessons? My child plays his/her instrument daily in band. Does that count as practice time? Where can I purchase or rent a baritone or euphonium?